missing sock. Another example is reading words together instead of every letter at a time. 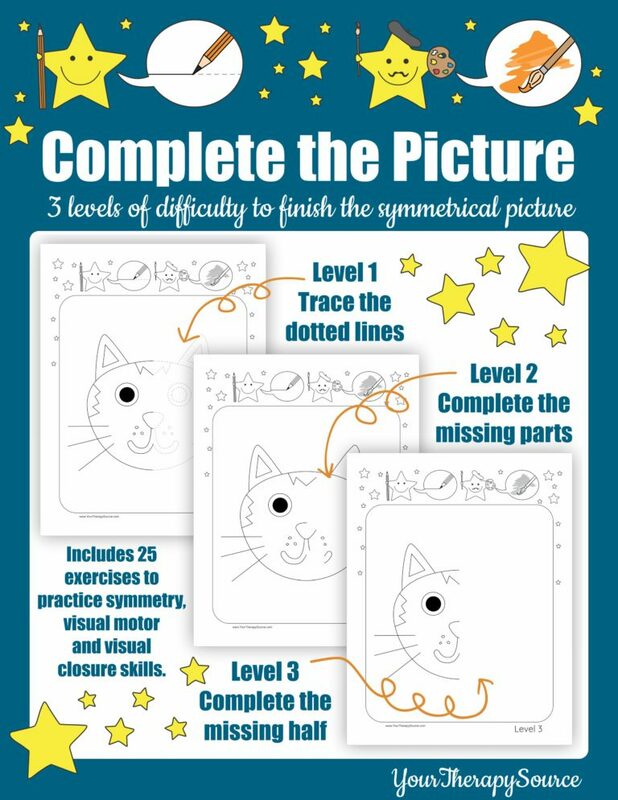 This freebie has the children practice visual closure skills by complete the other half of the symmetrical picture. This Shape Owls digital download packet includes 10 different owl shapes with 3 levels of difficulty to practice shape discrimination, visual closure, and handwriting skills. Coordinating your eyes and hands to draw and write are visual motor skills. Students need visual motor skills to perform actions such as drawing pictures, writing letters and catching a ball. 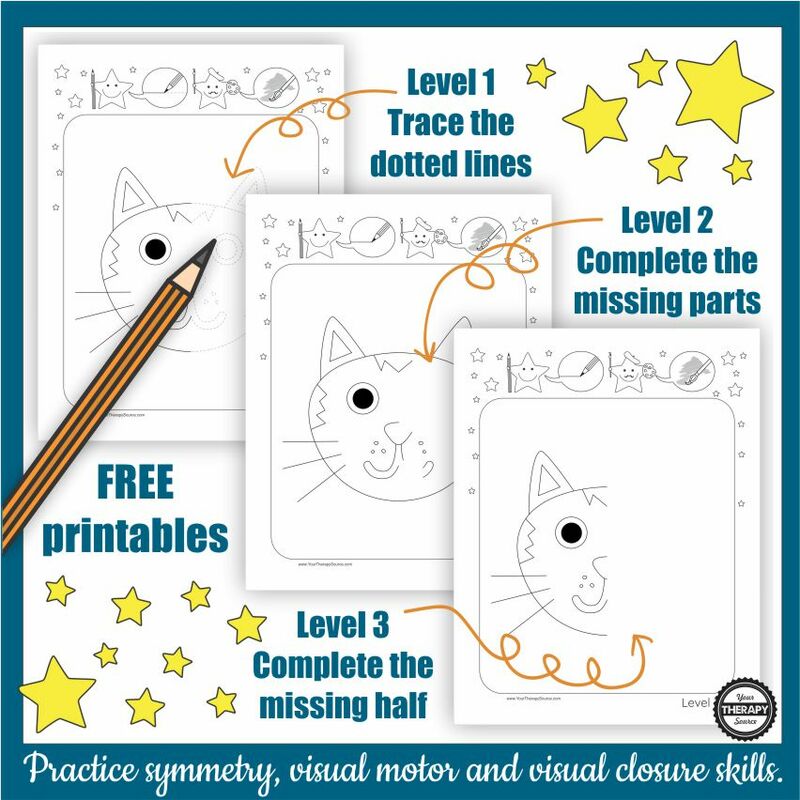 These finish the picture printables work on practicing visual motor skills because the child has to trace or draw to complete the symmetrical picture. This freebie is from the full Complete the Picture digital download. It includes 25 exercises with three levels of difficulty to practice symmetry, visual motor, and visual closure skills.